Through a variety of steps starting with a full inspection of the property we will locate all areas susceptible to infestation. We will secure all points of entry eliminating access into the property. And as always if you find yourself with an infestation, don’t hesitate to give us a call! We guarantee our service to ensure the problem in eliminated. Learn about our pest control plans. Termites are continuously foraging up to the length of a football field, protect your biggest investment with the iBundle. 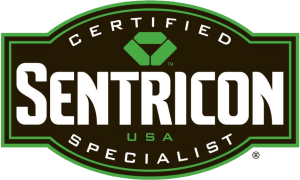 A certified Sentricon Specialist will install the latest termite technology around the entirety of your home to ensure long term protection against termites. With the iBundle you package both termite and pest control. With over 20 different pests covered iPest will service both the interior and exterior of your home quarterly basis. We begin each service with a comprehensive inspection to determine the perfect plan of attack that fits your specific needs. We follow that with our all-inclusive treatment process. iPest will target and treat all harborage areas in and around your home, provide a perimeter barrier, sweep the eves and provide a multi-target granular application. Our service is fully guaranteed, so if the need arises at any point in between scheduled services, we’ll be back to address the issue at no additional cost to you.